Positive corporate culture. Corporate culture is the basis upon which good customer service is founded, and it starts from the top down. Katahdin’s culture encourages cooperation, participation and teamwork. In general terms, this translates into a group of employees who will go the extra mile to help out, to understand a problem and to find the answers needed. In a hands-off or absentee corporate culture, it’s hard to know whether someone is doing what he’s supposed to be doing or just looking busy. Someone who is just going through motions is not likely to be a customer asset. Experience. When you’ve worked at just about every job in the mill—from summer breaks spent hand-peeling logs and winters running a saw in an unheated building to developing the overall business plan and hiring employees—it’s easy to see how that experience and knowledge base is tapped for positive outcomes. For customers who come to visit Katahdin’s headquarters, Gordon’s understanding and ease in explaining all aspects of the manufacturing process is an indication of his experience and belief in his product. Quick decisions. When fast thinking is required or a quick decision is needed in an emergency, Gordon is there to make it. 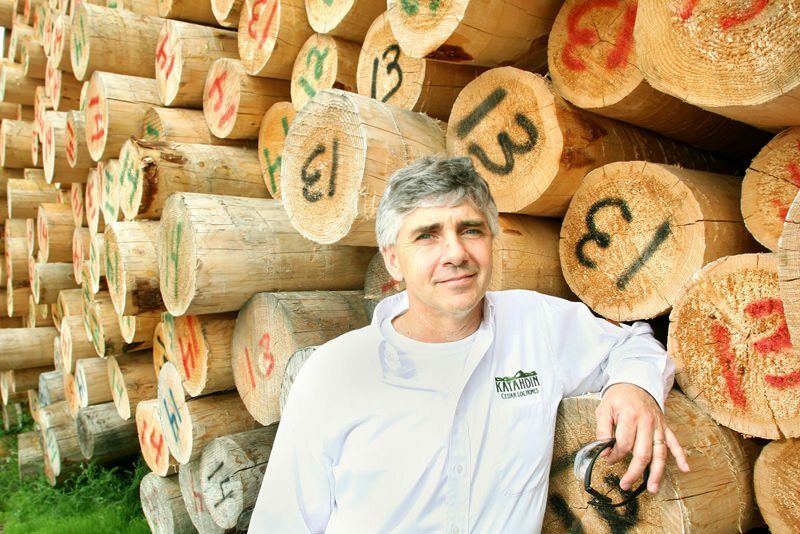 When a logging truck overturned on the nearby interstate, blocking the lanes with huge logs, Gordon was able to clear the road quickly with a heavy mill forklift that he was able to operate himself. Quick action can make a tremendous difference when something turns for the worse. Transparency. Many corporations in the past few years lost their economic direction with over-leveraging, too much debt and extravagant lifestyles of the owners. Gordon makes sure that Katahdin’s financial stability is accessible to customers conducting due diligence by offering banking information and references. He considers the Katahdin enterprise a family, a notion not lost on new dealers as well as long-term employees.